Our product range includes a wide range of soybean isoflavone extract. 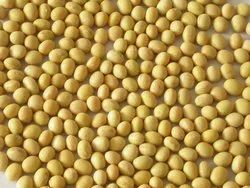 We are involved in providing Soybean Isoflavone Extract. This is processed by our skilled professionals, armed with wide industry-experience in this domain. These products are hygienically processed using topmost quality soybean with the help of advanced technology and machines in adherence to set industrial food standards. The offered products are available in various packaging options as per specifications from our valuable clients. Moreover, the products offered by us are delivered within the promise time-frame.